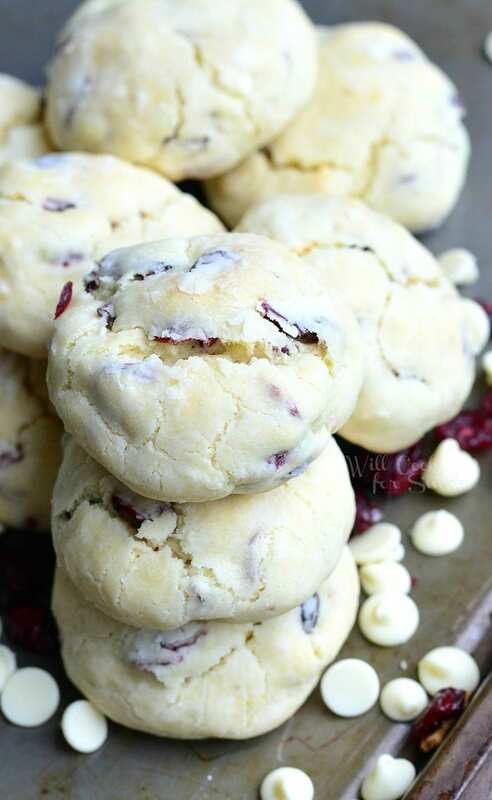 Easy and delicious White Chocolate Cranberry Soft and Chewy Crinkle Cookies that are perfect to share as an Edible Christmas Treat for neighbors and friends, or for Cookie Exchange Christmas Parties! 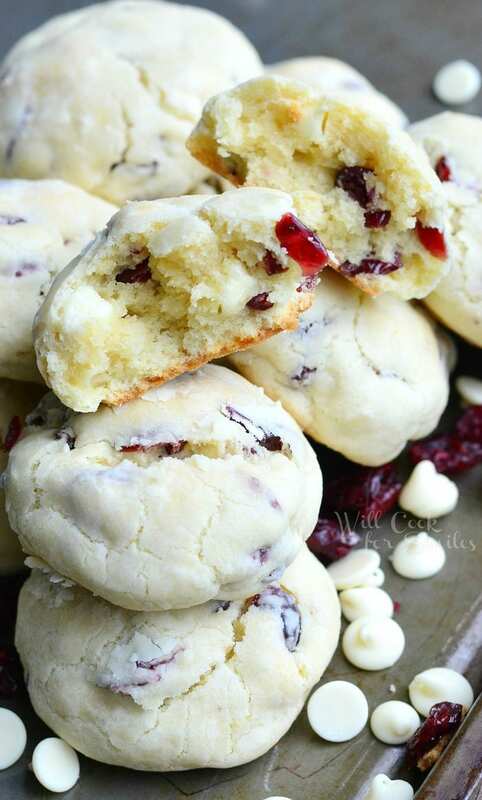 Delicious cookie recipe by Will Cook For smiles! Happy holidays to everyone here, at The 36th Avenue! It’s Lyuba again, from Will Cook For smiles, entertaining you today. I brought some cookies to share with you. I hope you like them as much as everyone here liked them. 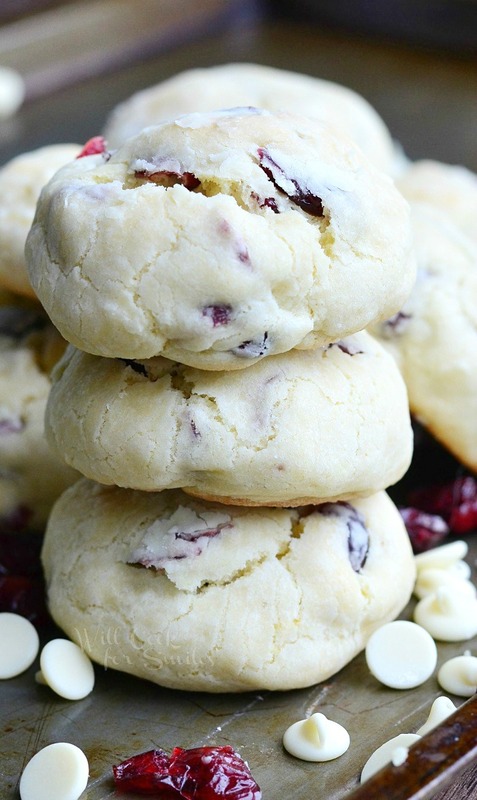 It’s been a general consensus that these cookies ROCK. I’ve even send them to work with hubs and everyone there swarmed him as soon as he walked in with a tray in his hands. I think he is a little scared now every time I send goodies to work with him. There are a whole lot of employees and they always try to get to him first to make sure they get something. I told him to just drop the tray and run next time, might be safer for him. His employees get quite spoiled during the holiday season, when I have so many treats to bake that the three of us can’t eat them all. Not to mention when I was working on my books, they got a whole lot of peppermint and pumpkin treats. Definitely trust the 15 people that got to try these cookies, they are scrumdelicious. They are also very easy to make. 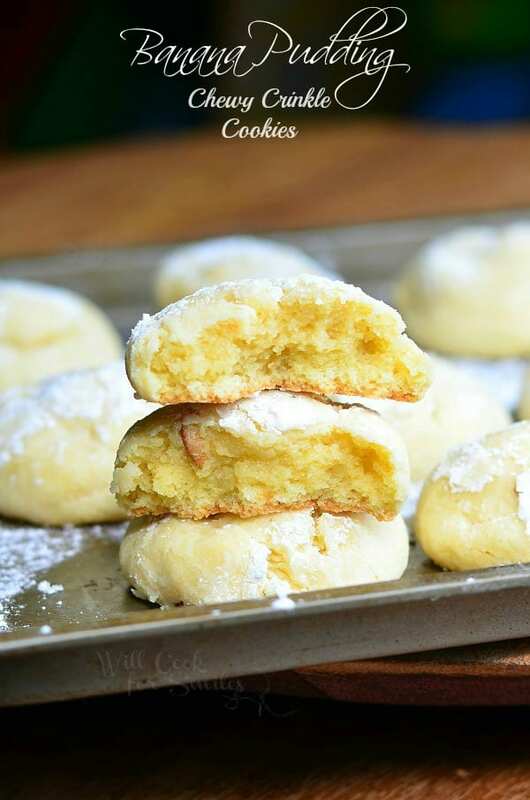 All you need is a whisk, a bowl, and a baking sheet to make these cookies. Well, an oven is quite crucial too. 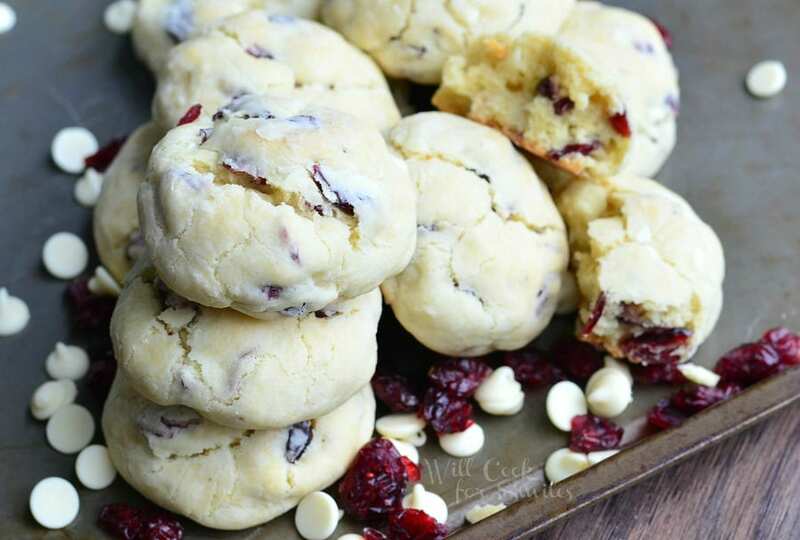 White chocolate and cranberry is a perfect winter flavor for these soft and chewy crinkle cookies. Pour warm butter over sugar and cream cheese and whisk vigorously until all combined and smooth. Add egg and heavy cream, whisk well. Add flour, salt, baking soda and baking powder. Mix with rubber spatula until completely combined. 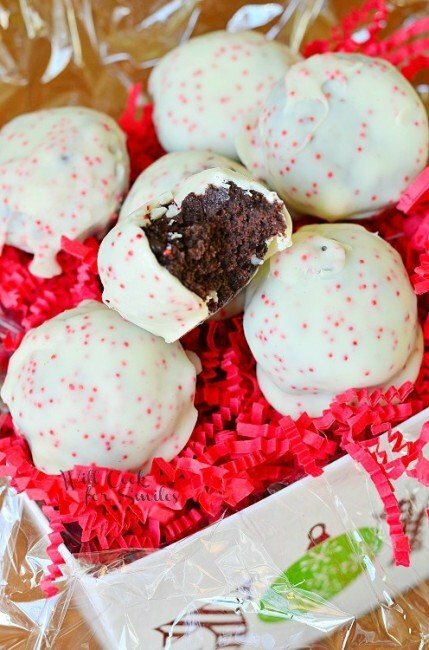 Form 1-inch balls and coat them in powder sugar. Place the cookies on the baking sheet about 2 inches apart. Bake for 11 to 13 minutes. I got 3 and 1/2 dozen out of it. 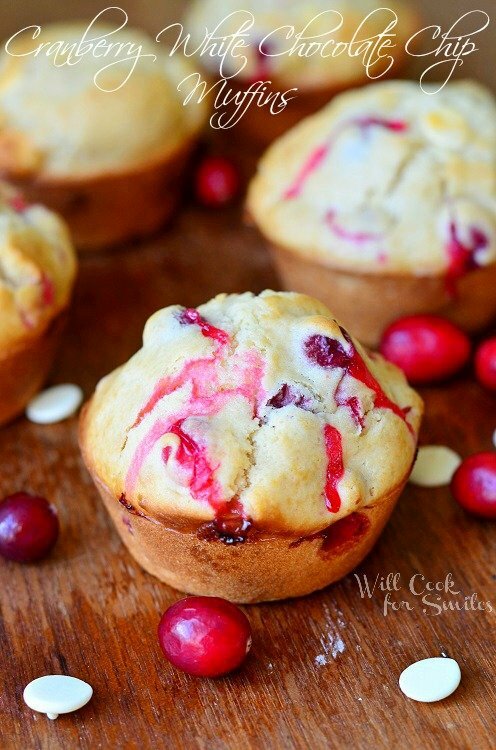 I liked the zing of the cranberry but the dough itself was a little tasteless. If I tried them again, I might include a teaspoon of vanilla just to give the dough some flavor. Wondering if anyone else felt that the dough was a bit bland? Is this correct 1/2 tsp baking soda plus 1 tsp baking powder? No salt? Also could I just use self rising flour? How many cookies does this make? Thanks!